Literacy is defined by the Literacy Trust as: ‘the ability to read, write, speak and listen well. A literate person is able to communicate effectively with others and to understand written information.’  In other words, literacy is far more than a comprehensive understanding of spelling, punctuation and grammar. Literacy is the ability for young people to access and engage in daily life: from understanding exam questions to writing job applications to reading menus in restaurants, literacy is the key to unlocking it all. At Newark Academy all teachers are teachers of literacy and are committed to developing literacy skills in every pupil. It is imperative that pupils understand the importance of literacy and the lifelong role it will play. Hone literacy skills in students so that they develop their ability to not only access a range of texts but to enable them to thrive in both written and verbal communication. Integrate literacy into every subject and every lesson in order to have a consistent and whole school approach to developing pupils’ language through the teaching of subject-specific vocabulary and patterns of language. Ensure that all pupils value literacy as a liberating tool of expression and greater communication. All teaching staff at Newark Academy are committed to raising standards of literacy due to our acknowledgement that promoting literacy is a long term, lifelong pursuit. Pupils need language, a broad vocabulary, analytical skills and organisational control to cope with the cognitive demands of all academic subjects, especially in order to decipher the phrasing of exam questions and sources. Developing verbal communication skills through an investment in speaking and listening will increase the confidence of students and create active listeners. English Department: to provide pupils with knowledge, skills and understanding they need to read, write and speak and listen effectively. To model best practice in ensuring all students have high levels of literacy appropriate to their age. To reiterate to students that literacy skills are transferrable to other subject areas. To actively engage with removing barriers to literacy to ensure that barriers to learning are eradicated. To inspire students to read for pleasure by extending schemes of learning to provide opportunities for wider reading through links with the library. To respond to low literacy levels through assessment and marking, liaisons with key staff, intervention and communication with parents. Teachers across the curriculum: to provide a consistent focus on literacy in all lessons by planning for literacy opportunities in daily practice. To establish the reading requirements and the writing styles the students will need to be familiar with, in order to succeed. To ensure that the literacy element of the marking policy is used effectively in the department. To ensure Literacy Focus of the Week is incorporated into lessons on a weekly basis. To support and engage with DEAR. 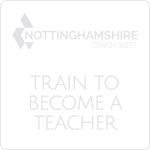 Literacy Co-ordinator: to actively inspire teachers and students in all aspects of literacy. To supports departments across the school in the implementation of strategies designed to raise literacy levels. To promote shared practice of literacy strategies amongst staff. Create, establish, monitor and review a whole-school literacy policy which is implemented systematically across the curriculum. Work with SLT to audit current provision, identify priorities and plan strategies to ensure effective development of whole-school literacy policy and practice. Establish communication and liaison with curriculum areas and facilitate opportunities to develop and share good practice through the Literacy Department Leads. To take the lead in delivering school-based INSET and organise CPD. To identify students in need of literacy support, and work with key staff to ensure effective additional provision for these students. To work with the school librarian in raising the profile of reading across the school. To monitor the use of Accelerated Reader analyse data and plan intervention where necessary. Department Literacy Leads: Champion literacy within their own department. To work with the school’s Literacy Co-ordinator to identify those students who require intensive literacy support. To ensure appropriate schemes of work and tracking procedures are in place and geared toward literacy. Support the LitCo in evaluating and monitoring literacy provision across the curriculum. 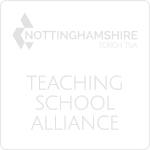 SENCO: Provide professional guidance to colleagues and will work closely with staff, parents and other agencies to ensure effective special educational provision in place.To support in identifying students for whom literacy is a barrier to learning, provide personalised targets and strategies for teachers to support students in accessing the curriculum. To ensure all staff are aware of effectively differentiating for students with SEN to ensure barriers to learning are removed. To use information systems to monitor the progress and development of all pupils. Details of SEN, outcomes, teaching strategies and the involvement of specialists should be recorded as part of this overall approach. Key Stage Three Tutors: to monitor the reading and frequency of testing through Accelerated Reader. Tutors must analyse weekly reading reports, ensure students are equipped with reading books and offer students opportunities to participate in reading comprehension tests. Tutors must identify weak or reluctant readers for intervention. Librarian: to promote reading across the school, and to encourage the development of key research and study skills. To ensure all books are audited against Accelerated Reader. 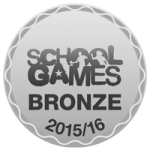 To inspire students to take part in reading and writing competitions. To promote key literacy events such as World Book Day, National Poetry Day and Literacy Lunches. Parents: to support and encourage their child in their pursuit of improved reading, writing and communication skills. Pupils: to recognise the importance of literacy and to take increasing responsibility for their own literacy needs. 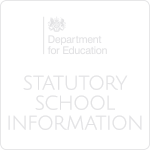 Governors: an identified governor should meet with staff and pupils and report progress and issues to the governing body and to parents in the governors’ annual report. Summarise, synthesise and adapt what they learn from their reading. In order to meet these aims, the Literacy Co-ordinator will work closely with SLT and the English department in order to ensure reading is made a consistent priority for all students. All pupils starting in Year 7 will be given a bi-annual reading test to establish and measure their reading ages. Pupils will then be directed to specific strands of intervention to best support their needs- these include The Hackney Literacy Trust, Lexia, Switch On Reading and The Reader Mentor Scheme. Students at Key Stage Three will also engage in DEAR (drop everything and read) to ensure they receive a consistent diet of reading for at least twenty minutes per day. Students will be retested at key points during the year and their progress will be monitored through Accelerated Reader. Express themselves through fluent written expression. In order to meet our aims and intentions, staff will be expected to follow their assessment policy, particularly with regard to literacy. When marking a piece of written work, teachers are expected to use the literacy marking policy- SPUC and ensuring specific development time is set aside in lessons to improve written accuracy. Staff should also ensure that high standards of written English are made more explicit to pupils. For example, if a task involves pupils writing a response to a question or a task, staff should insist on an approach that involves pupils planning and proof-reading their responses to check for accuracy. Staff should provide templates/examples of a high standard of work to demonstrate and model expectations in a way that best supports students. Staff should engage with Literacy Focus of the Week in order to encourage grammatical awareness and development across the school. Our pupils should be able to communicate effectively in a range of situations, both formal and informal. Verbal communication is an essential life skill that is especially important in the work place. A pupil’s ability to express themselves effectively will be used on a day to day basis in their working lives and will be imperative to them in situations such as interviews or presentations. It is essential that they gain confidence in their own articulacy in the construction and delivery of verbal communication. Listen for a specific purpose. In order to meet these aims, staff should encourage pupils to speak in Standard English and to develop an understanding of the influence of social context on register and tone. Staff should provide opportunities for verbal presentation and discussion as part of the teaching and learning in their subject Furthermore, when pupils are expected to work in groups, they should be made to understand the importance of making contributions to their group and enable others to share their ideas by listening to their contributions. Students should be made to perceive the importance of communicative skills in both now and in the future. Y Kassam, ‘Who benefits from illiteracy? Literacy and empowerment’ in The challenge of illiteracy: from reflection to action, Garland Publishing, New York, 1994; cited in Literacy changes lives: an advocacy resource, National Literacy Trust, 2008; www.literacytrust.org.uk/research/nlt_research/243_literacy_changes_lives_an_advocacy_resource.